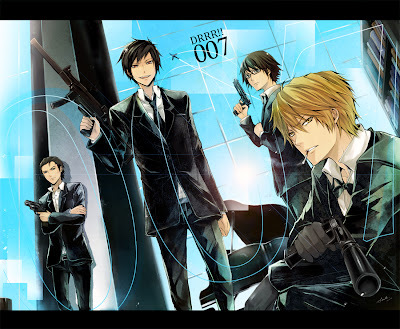 Notes: The second ending theme for Durarara!!. On/Off is a JPop duo consisting of twins Naoya Sakamoto and Kazuya Sakamoto. They have provided OP and ED songs for animes such as Beelzebub and Vampire Knight. They have released two albums so far. One of my favourite characters from DRRR!! is Shinra Kishitani.